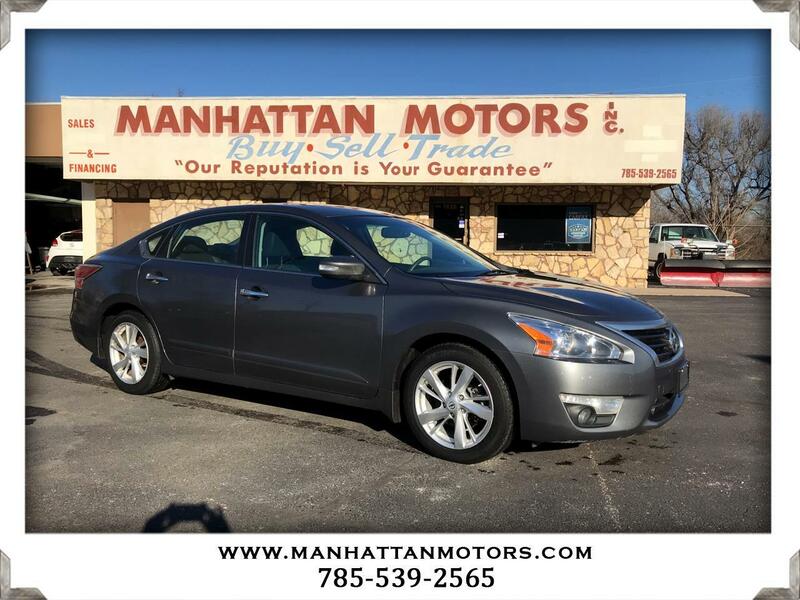 Outstanding in Gun Metallic, our One Owner, Accident Free 2015 Nissan Altima 2.5 SL Sedan strikes a perfect balance of fuel efficiency, performance, comfort, and style! Powered by an impressive 2.5 Liter 4 Cylinder that offers 182hp while connected to a responsive CVT for smooth acceleration. This Front Wheel Drive Altima rewards you with a composed ride and near 38mpg on the open road! Charming down to every detail, the sleek profile of our Altima 2.5 SL is accented by alloy wheels, fog lamps, LED tail lights, a large sunroof, and convenient automatic headlights. Inside our 2.5 SL, you're immediately rewarded with many luxurious extras including premium heated leather front seats, power adjustable driver's seat, a heated leather-wrapped steering wheel with mounted controls, and dual climate controls. Enjoy the premium Bose audio system with available Sirius radio, Bluetooth, Navigation, and more! Our Nissan has been carefully designed with anti-lock brakes, stability and traction control, a rear view camera, front side airbags, and side curtain airbags to keep you and your precious cargo safe from harm. Capable and comfortable, our Altima sedan will make a great traveling companion and is undoubtedly a smart choice! Print this page and call us Now... We Know You Will Enjoy Your Test Drive Towards Ownership! Thanks for choosing Manhattan Motors. We recently won The Manhattan Mercury Readers' Choice Award for being the #1 Used Car Dealer. Buyers enjoy our "laid back" approach. No test drive routes or high-pressure salesmen. Our focus is to offer all of the information you need to help make the best decision for your family or business. Each one of our vehicles undergoes a 30-point vehicle inspection by Burnett Automotive, Manhattan's #1 Auto Service Facility. We are also the area's only Independent USAA Certified Dealer, offering discounts on purchases and interest rates.